Black Sheep runs a distinct raid force. This force raids on different schedules and is geared towards slightly different play-styles. While the play-styles may vary, you will find both hard-core and casual raiders in guild. We understand that raiding is likely the primary reason why you would like to apply, but you may also like the company of our insane players, and enjoy the good times we share overall. We highly value our players, and we highly value you as a potential new member. Our goal and function here as a guild is to exist to provide you the player the tools, organization, and atmosphere to enjoy the game to the fullest possible. As such, the following questionnaire will allow us to understand what type of player you are, and where you will fit best within our guild. Please be open and honest so we can place you in the slot that will give you the most enjoyment. We will then match your desires and requirements against the current openings we have across our force. After determining what position you may be able to fill, we will extend you an offer. If that offer is agreeable with you, we'll get you tagged and on-board so you are ready to raid as soon as you like. New members will be in a 2 week temp status, which for purposes of loot will be treated between a Main and an Alt. Once you post your app, it will be moved to our private forums to protect your information. From here just answer the questions to the best of your ability. Thank you. Instructions: Copy the questionnaire below by highlighting and hitting CTRL-C. Then create a new thread by clicking [http://blacksheep.forumotion.com/post?f=3&mode=newtopic]. After the new thread window opens, place your cursor in the large edit box and press CTRL-V.
2. Ideally, how many nights a week on average you would like to spend raiding? 3(a). 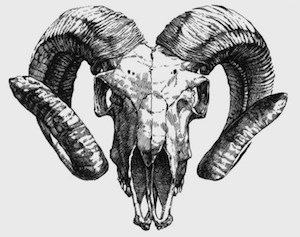 Generally speaking Black Sheep raids during the week(Sun-Thur) 7pm - 12:00am Western time. What nights would you be unable to raid? 3(b). Given our normal raiding times, what days would you need to start late or leave early? Please provide the date, expected depart/arrival time. 4. Describe your play-style, for example are you ultra-competitive, very social, a loner, etc. 5. Were you recruited by someone specifically? If so who? 6. Do you have any friends, or have any particular association with any current Black Sheep members? If so, who? 7. What Guild(s) are you in, or have you been a part of? 8. What prompted you apply to join our guild? 9. How long have you been playing EQ? 10. Have you played any other MMO's? If so, which ones? 11. Have you read the rules for joining our guild? They are found by clicking Here - and Here. Do you agree to follow these rules? If not, please explain. 12. What is your RL age and location (Time Zone specifically)? 13. What, if any, tradeskills are you involved in? 14. How do you plan to contribute to the guild? How do you expect the guild to help you? 15. Why do Gnomes __________________ ?